First, the sanctions that continue to bite Iran are the unilateral, indirect U.S. banking sanctions and exclusions that continue to apply due to Iran’s support for terrorism, its human rights record, and its ballistic missile program. Major western banks (non-U.S.) still risk losing access to the U.S. markets and can be subjected to major sanctions (the billion-dollar type) under U.S. law for doing transactions with Iranian entities. These are risks that major western banks are not willing to undertake. There are plenty of other non-Iranian entities to loan money to and no major western government can compel private banks to lend to Iran — even if those governments’ overwhelmingly support the deal. These banks are beholden to shareholders, not governments. Their Boards of Directors will effectively determine whether or not unilateral banking sanctions have remained in place. Another reason that major non-U.S. western banks are staying away from Iran is that, even if there are waivers granted, the sanction laws remain on the books, and that translates into political risk, especially if one is considering a five- to 10-year financing program that is required to make an energy development project viable. This situation is not helped by the fact that Iran’s banking and business entities are very opaque as to who the beneficial owners are. As long as banks cannot be sure that they are not contracting with the Islamic Revolutionary Guard Corps (a sanctioned entity whose ownership tentacles reach into many parts of the Iranian economy) there will be severe limits on private commercial financing. The only hope for true sanctions relief might have been if the Iran Sanctions Act (ISA) of 1996 was not renewed prior to its expiration on December 31, 2016. Obama administration officials had signaled that the president might sign a simple renewal of the act which would have maintained the president’s waiver authority. But that was before Trump became president-elect. Now renewal is an open question. However, even if the law expires in 2016, the incoming Congress and administration can easily draft the same language and pass a new bill reinstating the ISA’s provisions. This is a very real possibility given the Republican Party Platform and the Congressional politics surrounding the deal. Even if it is not the first thing the new Congress works on in 2017, the current political climate in Washington regarding the Iran deal translates into a risk that legislation will eventually be passed (with a significant amount of Democratic support), and that is too much risk for the big private western banks. Finally, in addition to the factors outlined above, the Joint Comprehensive Plan of Action contains a simple nullifying provision wherein any party may simply claim that another party is not in compliance. After a brief series of mediation processes, a claim can be brought before the U.N. Security Council and, left unresolved, will automatically trigger a re-imposition of U.N. sanctions. It is important to remember here that the U.S. is a permanent member of the U.N. Security Council with complete veto authority. 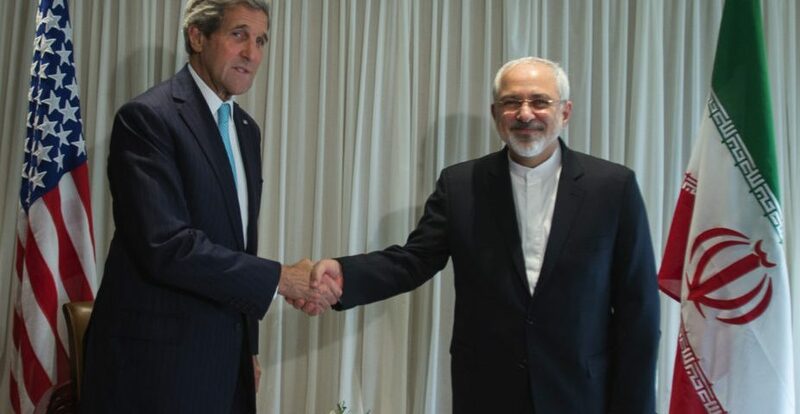 Bottom line: The current Iran nuclear agreement cannot hold under such pressures. The only remaining question is which party officially walks away first. The nonproliferation community now needs to look at new ways to address Iran’s nuclear ambitions. There are also questions of Iranian and Russian banks backing of cyberwarfare esp. cyberwarfare aimed at tilting the election in favor of Trump. Currently, nation states act unilaterally only re: use of e.g Stuxnet and Nitro Zeus worms. There are questions of Trump’s link to Bank Melli and whether or not he will establish the blind trust that he promised. Trump’s denial of climate change removes address of climate change as a global security threat. Cyberwarfare is not regulated by any accord equivalent to those achieved for Chemical or Biological weapons. Trump is more concerned about loyalties than he is about making American safer as he claims so add that to the 57 Pants on Fire lies that he has already told and which he is trying to use as precedent and practice for his domestic and foreign policy.